Here's what industry insiders have to say about the holding company's extremely turbulent year following the shock exit. It’s been one year since Martin Sorrell’s reign at WPP came to a sudden (and still to this day, mysterious) end. His successor, Mark Read, has wasted no time in radically changing the landscape with mass consolidation, a rebranding and creation of new roles filled with top talent like Laurent Ezekiel, who slides into the newly created role of chief marketing and growth officer after a stint at Publicis as North America and international president of Digitas. From the outside, it looks like progress is being made. But the numbers tell a different story. Campaign reported last month that net sales, known as like-for-like revenues less pass-through costs, dropped in the last four quarters of Sorrell’s reign, and they have continued to tumble, with the exception of Q2 2018, when there was a brief uptick. When WPP reported its annual results at the start of this month, it said net sales fell 0.4 percent in 2018, little better than the 0.9 percent drop in 2017. WPP is facing a third consecutive year of decline in 2019, with Read warning that net sales will fall between 1.5 percent and 2 percent as losses such as the Ford creative and GSK media accounts take their toll. In a statement by Read from WPP’s 2018 preliminary results report released in March, he said: "Since September, we have made good progress in implementing the new strategy for WPP. We have set out our vision for a more client-centric WPP, simplified our offer through the creation of two new integrated networks, VMLY&R and Wunderman Thompson, realigned our U.S. healthcare agencies with major networks, formed the Company’s first executive committee and begun the process of seeking a financial and strategic partner for Kantar. Through 36 disposals since April 2018, we have strengthened our balance sheet and streamlined our business, raising £849 million of cash proceeds in 2018. "As we have said previously, 2019 will be challenging – particularly in the first half – due to headwinds from client losses in 2018. However, we start the year with fewer clients under review than we did in 2018, and investments in creativity and technology will further improve the competitiveness of our offer. At the end of day agencies, and holding companies, are just organizations of talent. WPP must hire, retain, or acquire brilliant talent and organise them effectively. Whilst it has made strides in effective organisation it must prove it can hire, and retain the best talent in the industry. If nothing else the purchase of Droga 5 by Accenture shows that the fight for top talent has not got any easier. Mark Read must continue to spend time with and listen to the most influential clients, if he becomes too embroiled with internal and corporate matters then competitors (including his predecessor) are quick to court WPP clients with promises of shiny new models and the boundless possibilities of their technology! One year on, WPP has gotten far leaner, Kantar is on the block and Accenture has swallowed one of the top creative agencies in the world. Many dismissed the concept of "cagencies" a year ago, but it seems more and more likely. A year is too soon to see a behemoth company like WPP emerge from the shock of abruptly losing a visionary leader and start to see growth from a new plan. The blends of VML + Y&R and JWT & Wunderman are interesting moves, but the client losses and need for cost restructuring have surely been distracting. The biggest worry is that WPP’s stock is still precipitously low -- slipping behind Omnicom. Like the Wall Street banks, WPP is ‘too big to fail’ and would shake the whole ad indutstry, already trying to respond to its own uncertain future, to its core. It feels like it’s lost is lustre a bit. SMS brought a level of kudos to WPP that is very difficult to replicate for anyone. I think Mark Read has done a reasonable job, but it feels a bit like Moyes coming into Man Utd after Sir Alex -- very difficult to replicate the successes without that level of influence. On a business side, they’ve had an OK year. They are having some challenges in some markets where they have lost some pretty huge accounts. The Kantar situation will be interesting to watch because there is a lot of value in that business but it’s not being realized at the moment. I’d give them a solid B+ and have an expectation that year two will be an A. All in all I think it’s simply a challenge for great talent to flourish and feel invested within the walls of agencies that are publicly traded. I continue to be intrigued by modern networks and co-op models arising to offer operating expertise and organized on-demand scale in and from the overly fragmented and saturated marketplace on independent talent. If these networks maintain a North Star that is about building shared wealth for talent and offering full funnel marketing for clients, they will attract the most progressive minds in our industry as a next gen "holding company" in the coming years. 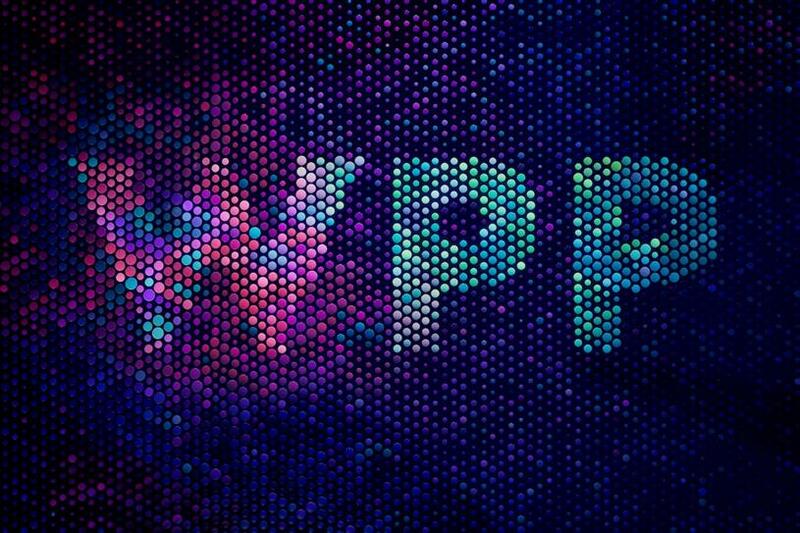 Over the last year, WPP has begun to reconcile the hundreds of overlapping and competitive operating companies and P&Ls inside the group with the consolidations of VMLY&R, Wunderman Thompson, SuperUnion, and BMCW. They are steps to create a more coherent agency structure, but there is quite some distance to go in terms of creating a new model for marketers to engage with. Martin Sorrell is a visionary, who built an amazing company. The truth is that the advertising industry was changing and was in serious need of transformation well before he left. Mark Read has done an amazing job of understanding where the business needed to go and understanding the importance of consolidation and a reimagination of the model. He’s keeping his head down, staying focused on what he needs to do and is doing it with determination, while walking softly and carrying a big stick. I believe Mark realized the opportunity to bring WPP closer to a model that works in this environment and find more ways for the various silos that existed to come together in a more meaningful way. They have the goods. They have the talent. They have the technology. Now, it's about storytelling -- arguably, the biggest challenge is to tell the story to the market. In the space of one year, he’s done a very solid job. The market hasn’t yet rewarded him; however, I believe it will. The last 12 months turned out to be an "Annus Horribilis" for WPP. Not that the year before was any better. I suspect that the turmoil and uncertainty affected WPP disproportionately because it’s the biggest communication company. Mark Read moved fast on addressing the problem with his creative agencies, describing them, accurately, as underperforming. He practically eliminating two of them, Y&R and JWT, by bringing them under two digital shops. His remaining networks, Ogilvy and Grey are restructuring. Media arm Group M is under pressure, with L’Oreal and Vodafone in reviews. And, of course, the big blow was losing most of the Ford assignment. WPP is stuck with a high debt load, and selling its data arm, Kantar, might have relieved some of that pressure. However, in light of the lukewarm interest in bidding for Publicis-bound Epsilon, Kantar might fetch less than Read hoped. Mark is facing many challenges and I expect more streamlining to come about in the near future. It is only reasonable to allow him three to five years (I suspect the investors will say three) to see how his vision for transforming WPP is unfolding.